This Oracle Data Integrator (ODI) training provides experience in configuring and administering the ODI 12c environment. Learn methods and techniques of data integration among various platforms based on the architecture of Extract Load Transform (EL-T). 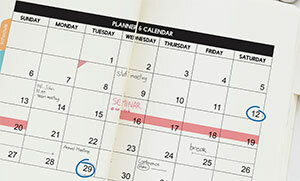 What is a Join?What is a Staging Area? Why Data Quality? When to Enforce Data Quality? Taking this course will teach you how to improve performance and reduce integration costs across your organization's heterogeneous systems. You'll be able to centralize data across databases using your new skills to perform data integration, design ODI Mappings, and set up ODI security. In addition, Oracle Data Integrator can interact with the various tools of the Hadoop ecosystem (such as Hive, Hbase, HDFS, Oozie, etc), allowing administrators and data scientists to farm out map-reduce operations from established relational databases to Hadoop. They can also read back into the relational world the results of complex Big Data analysis for further processing. 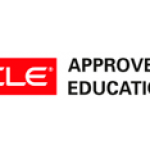 Expert Oracle University instructors will teach you how to use Oracle Data Integrator (ODI) 12c to implement high-performance movement and transformation of data among various platforms. This course covers using ODI graphical user interfaces that enable users to access different ODI components and resources that form ODI infrastructure. Using the graphical interfaces, you'll develop the knowledge to create and manage ODI repositories, which store configuration information about the IT infrastructure, the metadata for all applications, projects, models and other ODI artifacts. Furthermore, you'll develop the ability to create the ODI Topology, organize ODI models and design ODI Mappings, procedures, packages and other objects. This course is based on Oracle Data Integrator 12c (12.2.1.3). The latest release of Oracle Data Integrator supports storing ODI artifacts into source code management systems (such as Subversion.) This course teaches you how to integrate ODI with Subversion.